Brewers catcher Jonathan Lucroy's All-Star ad poked fun at the St. Louis Cardinals, their NL Central rivals, and it was legitimately funny. 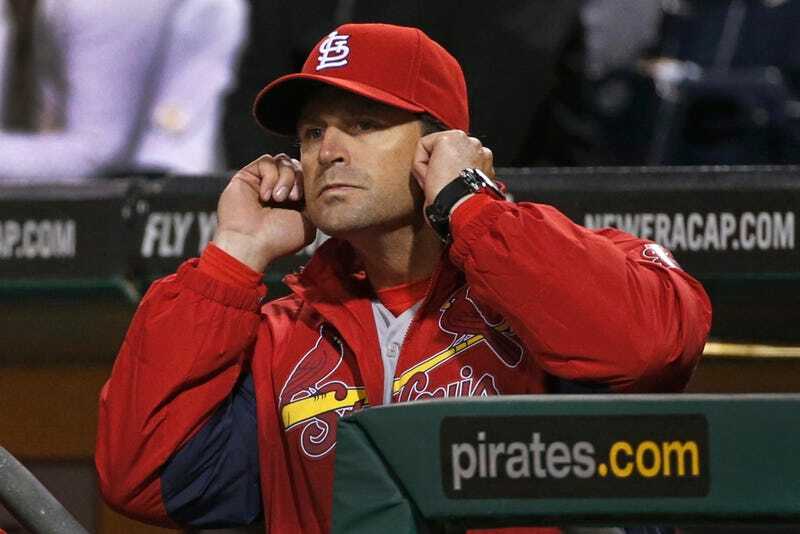 Today, someone asked St. Louis manager Mike Matheny for his thoughts on the anti-Cardinals spot, and he thought it was hilarious. Nah, just kidding. "I think you have to take it in the nature in which it was meant and it was meant to be geared toward their fan base," Matheny said. "It was just amazing that it was that much directed at our organization. I think that part probably caught me off-guard the most. "Not saying that's surprising. We've gone through this the last few years, especially last year with the Cardinal Way stuff getting blown way out of proportion. I think it can put a bad taste in a lot of peoples' mouth. But in defense of the recognition that our guys have had — whether it's having a number of guys on the All-Star team — that stuff isn't just handed out. These guys have worked hard for that. They have deserved it, and they have earned it, and I don't think that's anything for us to apologize for." As pointed out in the MLB article, Matheny's the NL manager for this season's All-Star Game. So, if the fans don't vote Lucroy in, he's going to have to hope that either the players put him in with their ballot, or Matheny picks him. That should be fun.